Wintertime is fast approaching! 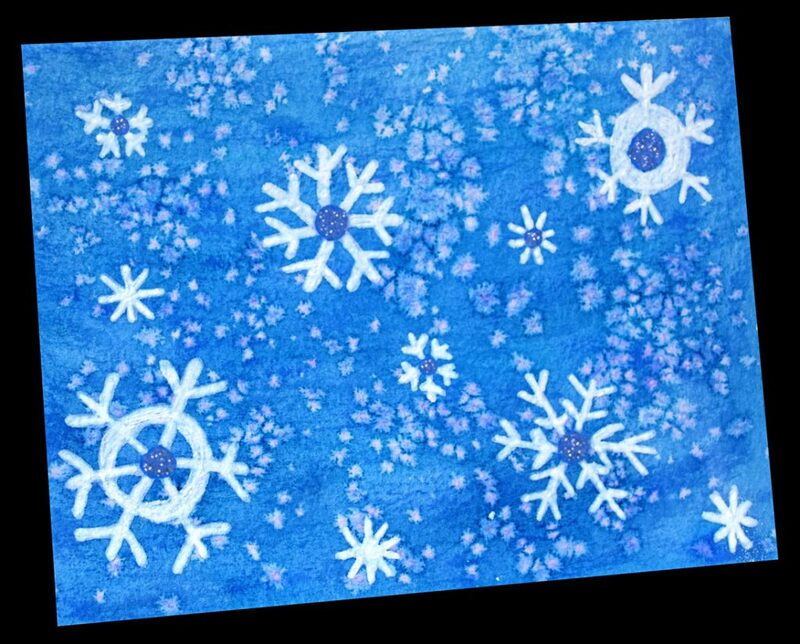 For a lot of folks, this season brings along those frozen flakes of white that some of us love and some of us hate. 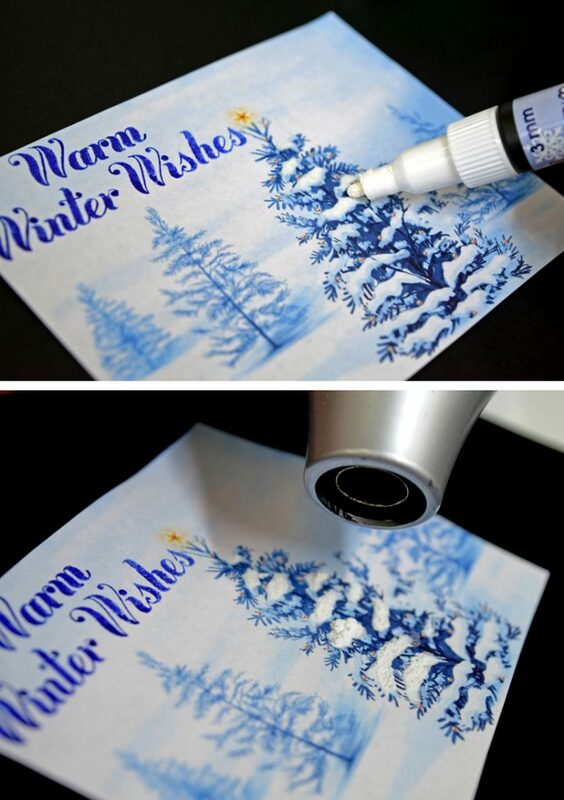 Whether or not you are a fan of real snow, adding the effect of it to your artwork can really make it stand out! 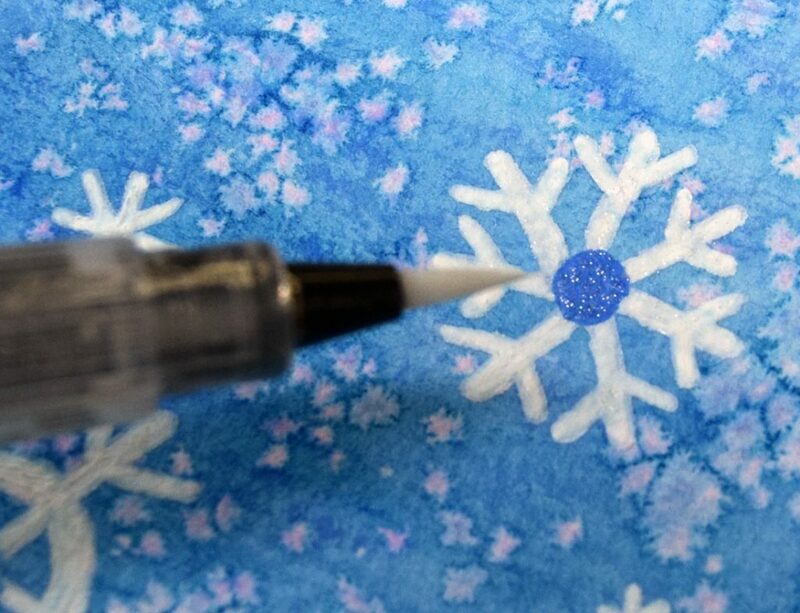 So for those blizzards of art projects that involve snowflakes, snowmen, and other snowy winter scenes, see these quick and easy ways to add and enhance the effect of SNOW on your cards, crafts, and more! 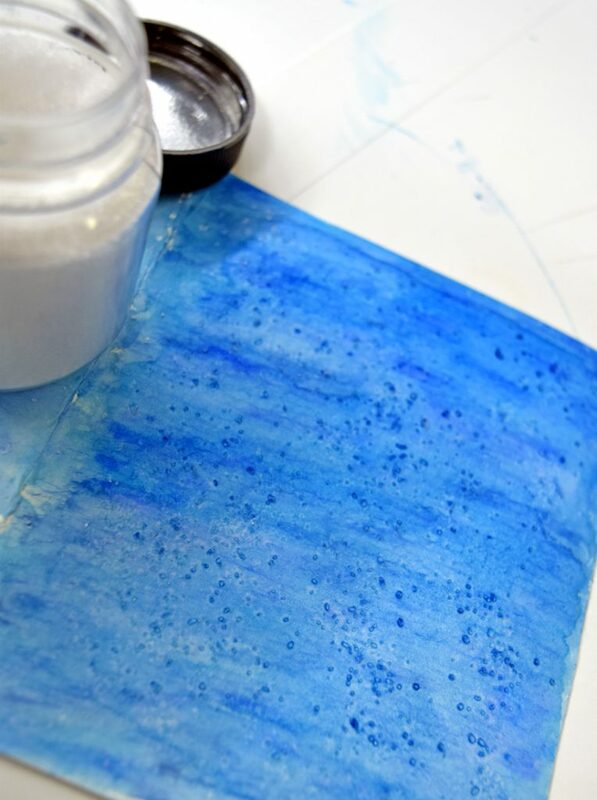 You can create a crystallized look on a watercolor background by sprinkling some sea salt on top before it dries! Begin making your background. 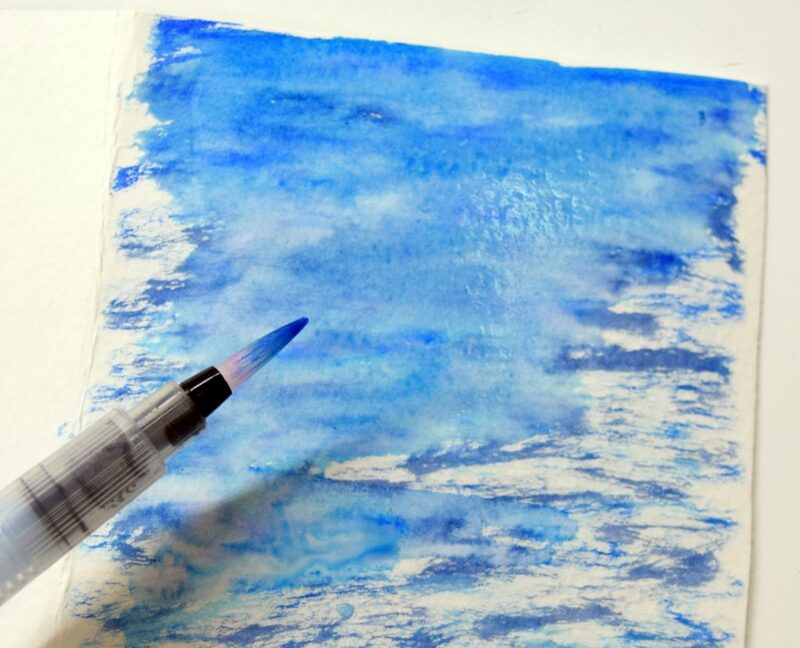 You can use real paints like the Sakura KOI or Gansai Tambi watercolors, or use a dye-based “watercolor” marker. 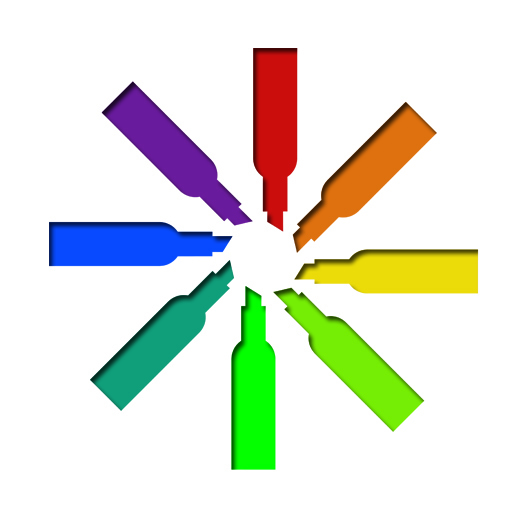 (Click here to see our watercolor marker options!) 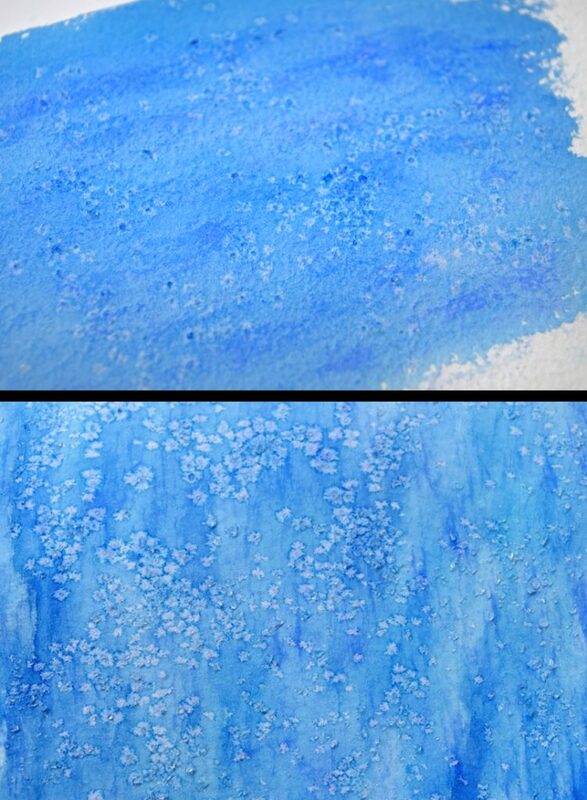 Be sure to use a thick, watercolor paper for the best blending effect. For this card, we used 3 varying blues in the Zig Clean Color Real Brushes and made layered marks using light and dark colors. Use a wet paint brush or a water brush (like the Zig BrusH20) to easily blend the colors together to make the painted background. While everything is still slightly wet, sprinkle a little bit of sea salt over it. The grains of salt will begin to soak up the color. 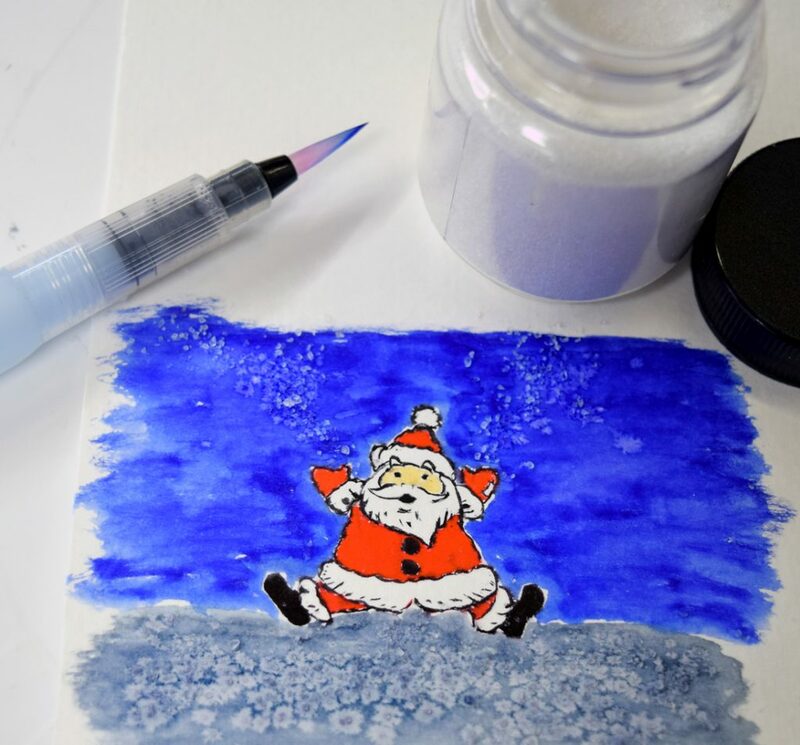 Leave the salt on the paper for a few minutes, and it will start to leave little crystallized marks behind! 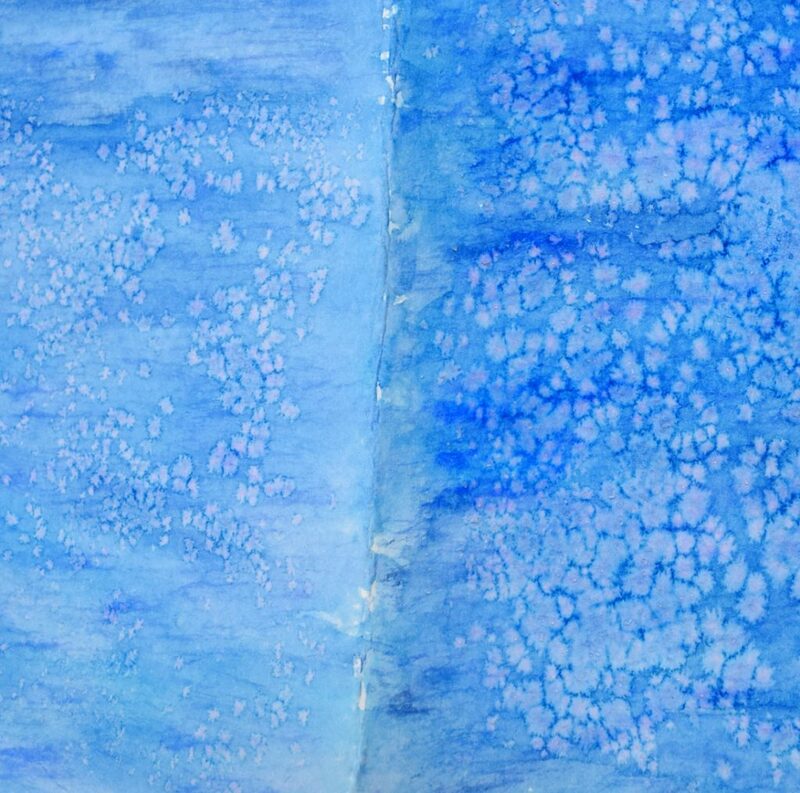 Everything has a different effect on the results of this- the darkness of the color used, the size of the salt grains and how much you sprinkle on, how wet or dry the paper is, etc. Experiment a bit to get the look you want! With “snow” right in the name, you get the gist of this special marker right away. 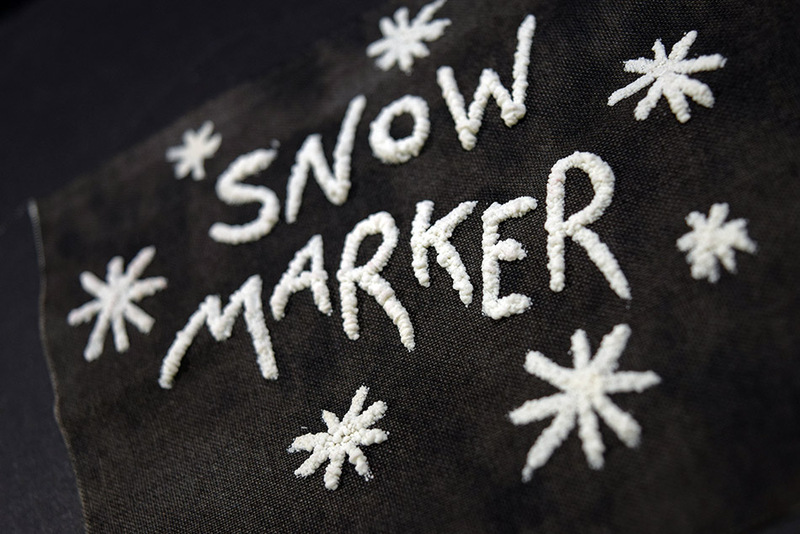 Snow markers write with seemingly normal white paint, but when the marks are heated with a heat tool, they puff up to create a snowy 3D effect! Use this marker to draw or write something freehand, or use it to embellish cards, stamped images- anything you want some 3D texture on! The thicker and wetter the marks are when heated, the bubblier the look will be. (If the paint is more dry when heated, it will create a softer, velvety look.) To keep the paint nice and wet when you heat it, try doing smaller areas at a time. After each time you mark a section, give it a little blast with the heat tool and watch it puff up! Try it in other colors! 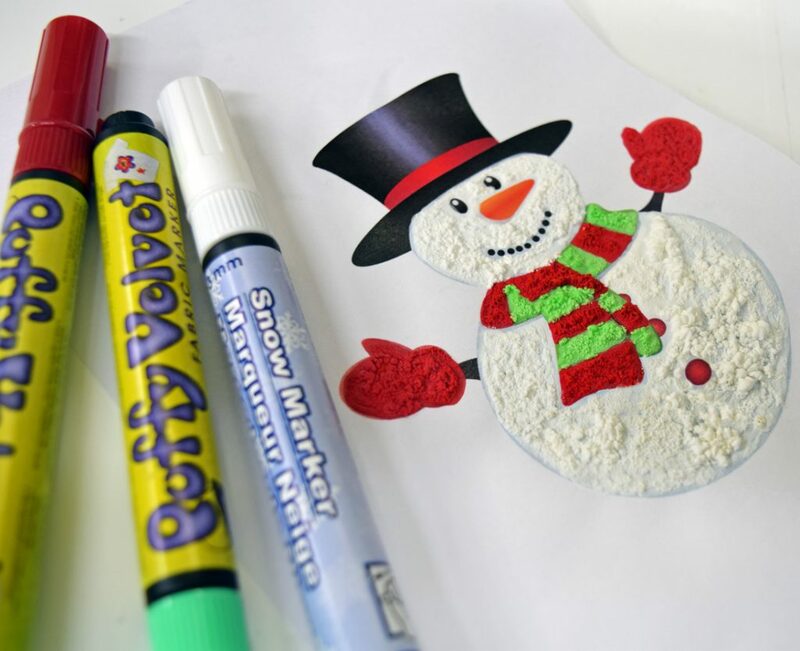 Don’t just stop at white when you can make this same awesome effect in COLOR with the Marvy Puffy Velvet markers! 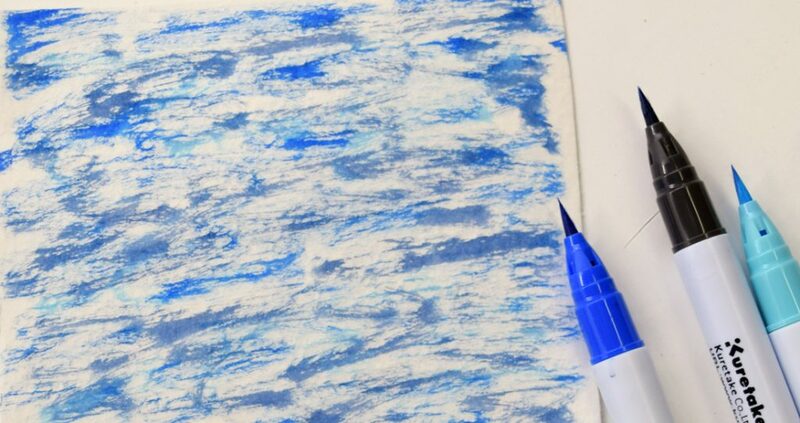 While these markers work well for papercrafts, they are also labeled as a fabric pen- so you can try them out on clothes, bags, and more! It shimmers and it sparkles. The qualities of glitter make it a natural choice for glistening winter effects! Whether you’re doing cards, ornaments, scrapbooks, coloring books, or a craft of any kind- try adding a little glitter! 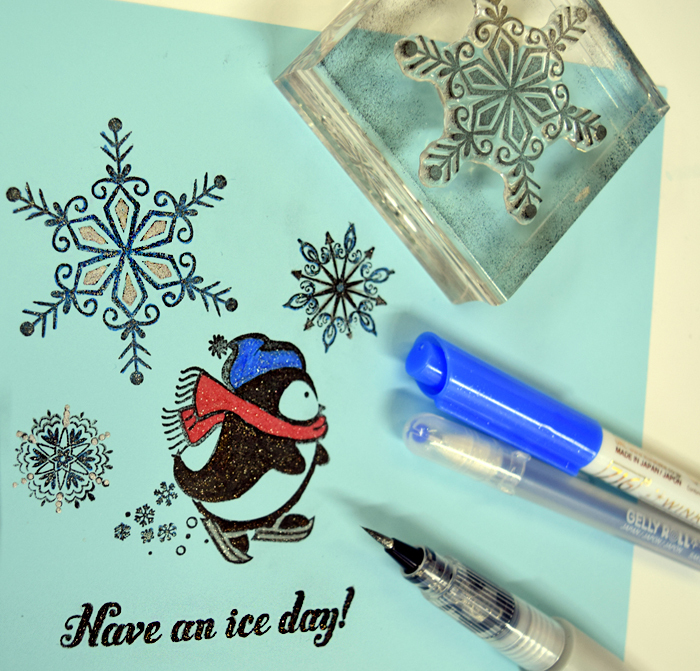 We’d love to see your snowy projects this winter season! Share them on our Facebook, Instagram, or Twitter pages!